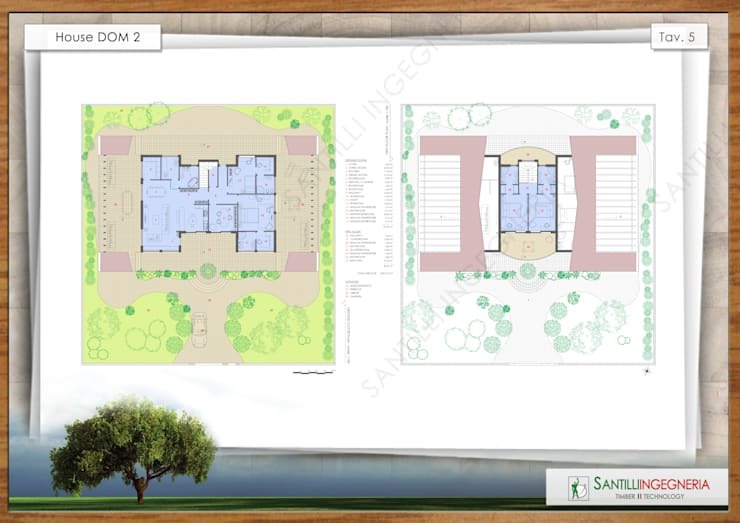 To satisfy those who are thinking of owning a home within a shorter period of time, we'd like to show these three houses with their corresponding floorplans. 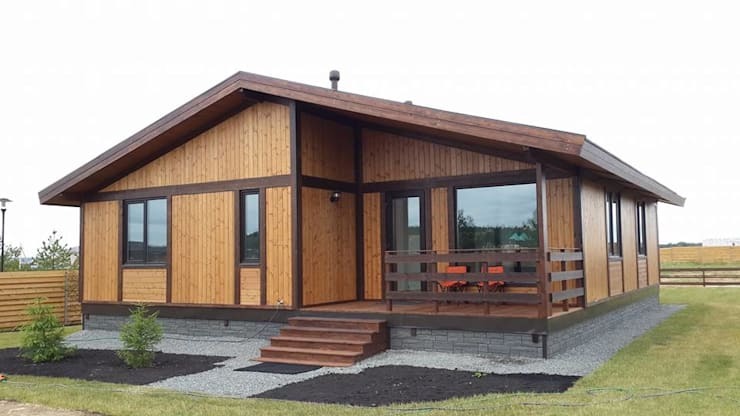 If you are looking for a house that is easy to build, then you may opt for pre-fabricated house materials, it will surely save you a lot of time. The use of simple and natural materials make this house beautiful and cozy, especially with all the warm brown tones. The use of glass large mirrors provide a stylish touch. The balcony also provides a nice area for relaxation. 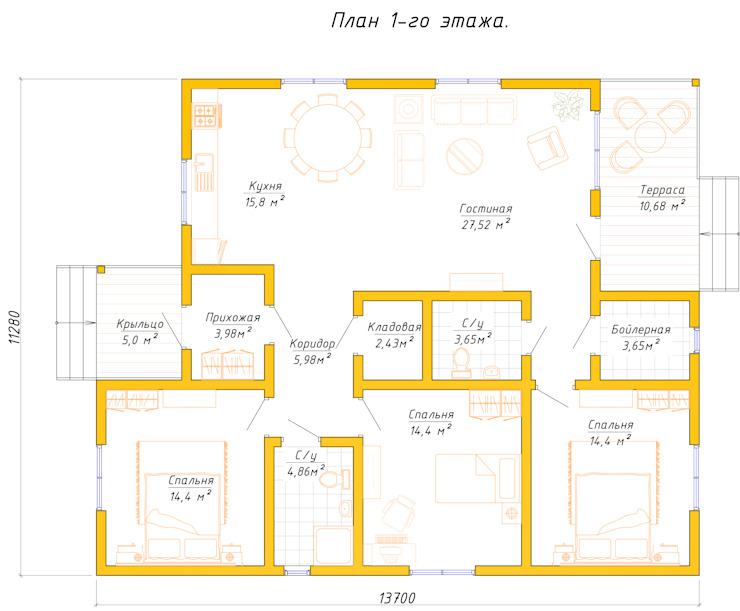 The size of this house could be suitable for living alone or maybe a small family of three. Based on the design, it could also be a nice vacation home. From the façade, this house may seem like a small hut., but when you see the floorplan, you'll notice how roomier it is on the inside. 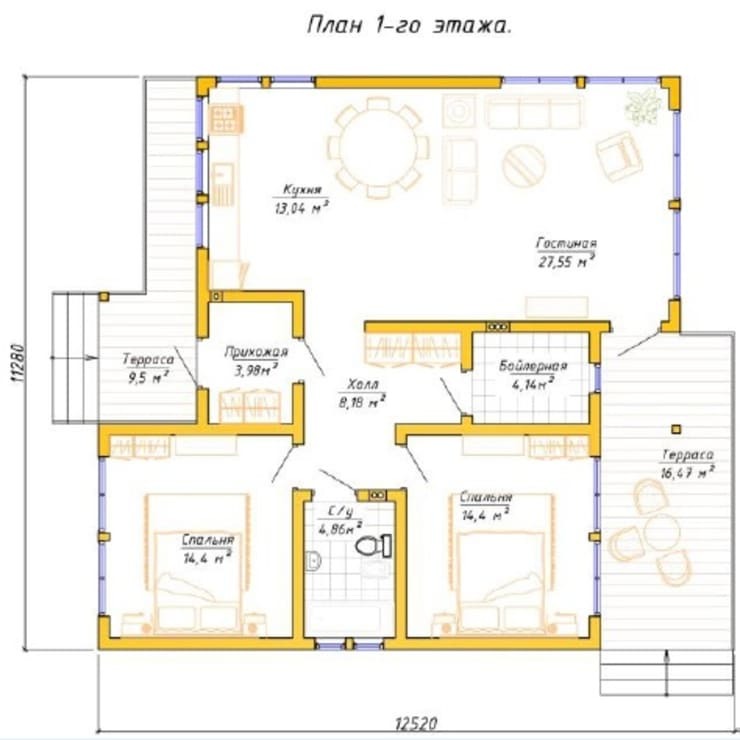 Here, you can check out the quantity and sizes of the rooms, bathrooms, and living room. As for the design of this house, it definitely could be recommended for people who are looking for a house with an ambiance that provides solitude. 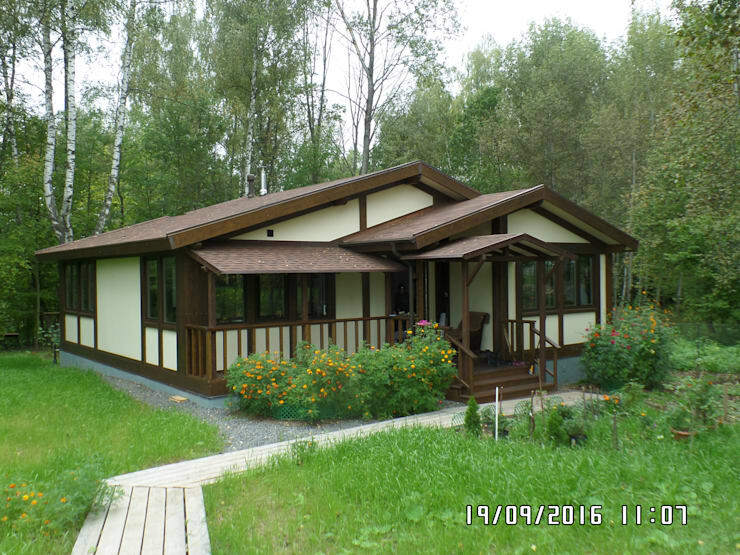 The best suitable location for these types of homes would be along the outskirts of town. Or in the middle of the wilderness or field. It has that humble atmosphere that is almost similar to a farmer's house or a country house, and because the house is a single floor, you won't have to think about climbing up and down a flight of stairs everyday. Check out the spacious interior. It has several rooms a nice living space with a front and back porch. Tear out prefab houses and every home style ever! Normally, we see a house with a high walls with the roof sitting on to of it. But not for this one! 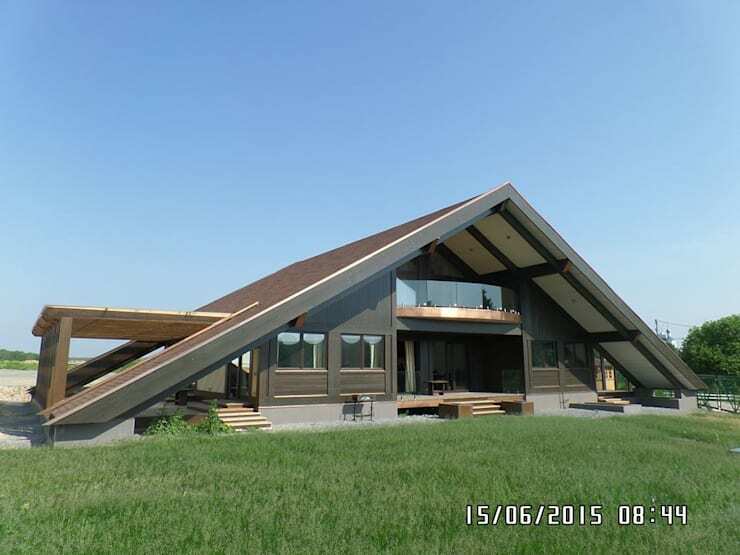 Check out the slanting of the roof, reaching all the way down to the grass. This concept is wonderful and yet it is not that very complicated to build. Look at the interior space. The whole floor area may not be completely well-utilized because of the slanting of the roof, but design-wise it has that striking appeal. Consider both form and function and merge it with the style and preference best for you and your family.